The Auction is the largest source of revenue to support Churchill’s Scholarship Program. The event brings together parents, past parents, friends and alumni for a special evening to support our amazing students. 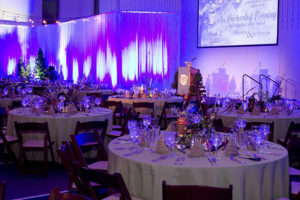 The Auction includes a premier live auction and a variety of categories in our silent auction. 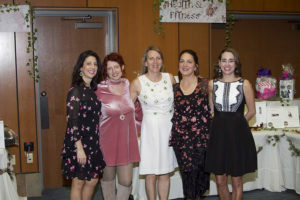 Our most recent dinner and auction was held Saturday, March 3, 2018, and it was a huge success! 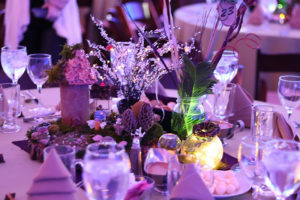 Thank you to all of you who attended and supported the “Enchanted Evening in the Hundred Acre Wood” Dinner & Auction. Together we raised more than $250,000 for the Scholarship Fund and the Fund-a-Need project of new flexible seating and classroom furniture! Thank you for being a part of our enchanted evening. 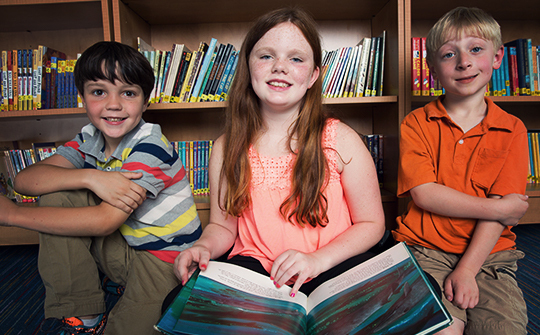 Your amazing generosity means a brighter future for our current and future students. 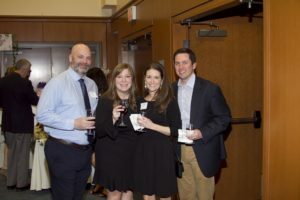 We hope to see you at the next Auction in 2020! This year’s 5th biennial golf tournament will be held on Monday, May 6, 2019 at our new location- Greenbriar Hills Country Club! For sponsorship opportunities and to find out more, please contact Kearney Liuzza at 314-997-4343 or kliuzza@churchillstl.org. 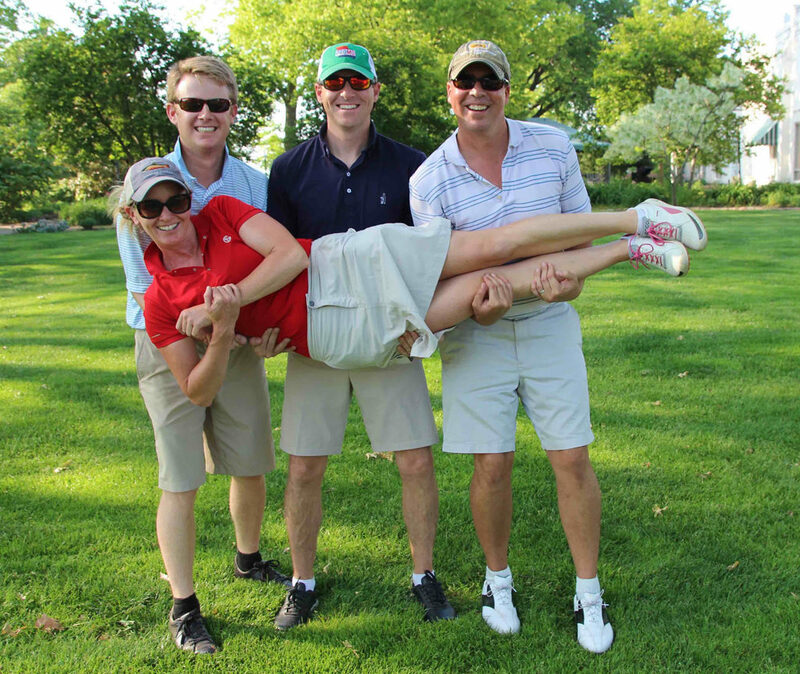 Churchill Center & School’s last golf tournament was held on Tuesday, May 9, 2017 at Norwood Hills Country Club. The event was a huge success, raising over $38,000 for our Scholarship Fund! Thank you to everyone who participated and supported our school. This biennial tournament began in 2011 to honor the life of Edwin (Ted) L. Noel, a former parent and Board President of Churchill Center & School. 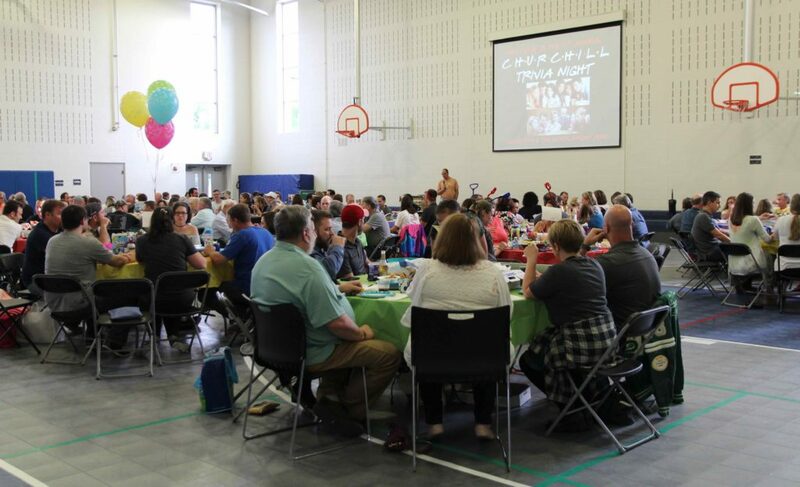 Ted and his family and friends were very passionate about helping families in financial need be able to attend Churchill. 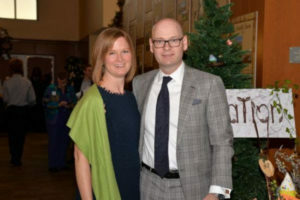 Since the tournament’s inception, it has raised more that $217,000 for scholarship assistance to ensure no family is turned away from Churchill for their inability to pay. The 17th Annual Sip & Savor event was our biggest beer, wine and food tasting event to date! We had an incredible crowd, delicious food from BARcelona Tapas, BrickTop’s, Dalie’s Smokehouse, Nothing Bundt Cakes, The Tavern and Truffles, exclusive craft beer from Grey Eagle Distributors, premium wines provided and served by current parents, awesome live music from St. Louis-based band Musicology and an amazing silent auction. Most importantly, we raised close to $14,000 for Churchill’s Scholarship Fund! This night gets bigger and better every year. Thank you to everyone who came and supported the event! Some of our wonderful Churchill Alumni who attended the event! 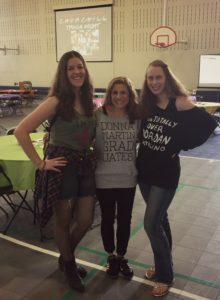 Fun was had by all at the 13th Annual Trivia Night held on Friday, June 23, 2017. 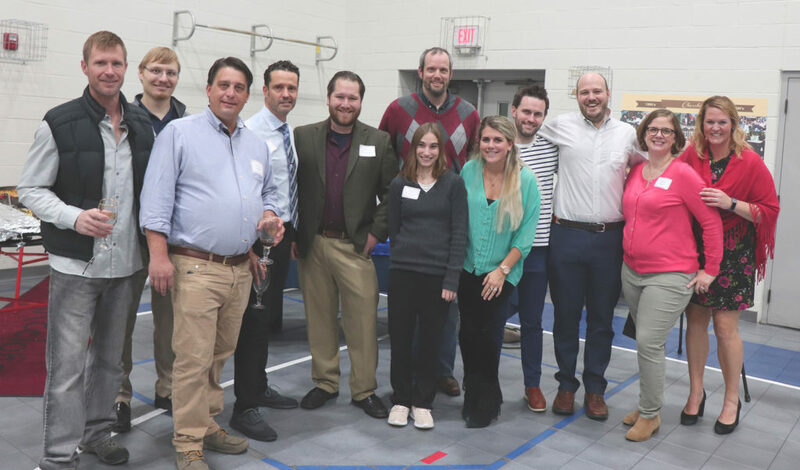 The Alumni Association sponsored an awesome night of 1990’s trivia, super cool raffles and a silent auction for over 150 friends. 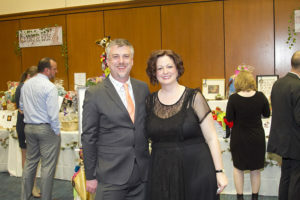 Proceeds totaled over $8,000 to benefit the Churchill Center & School Scholarship Fund. 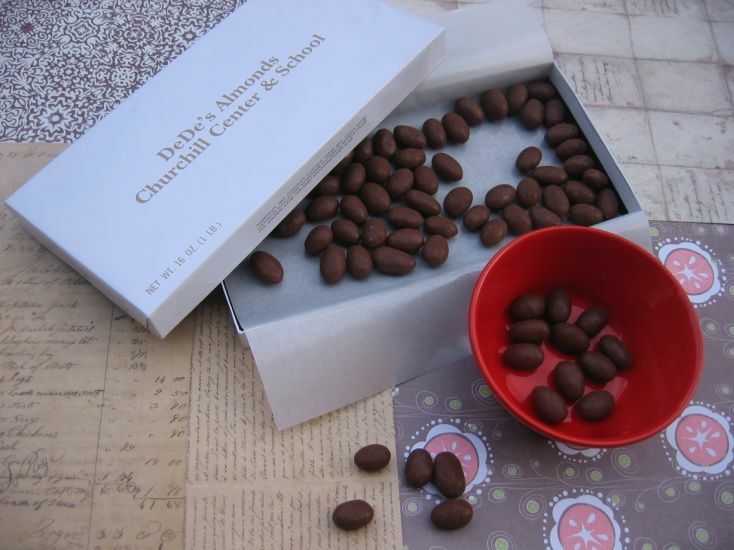 DeDe’s almonds are a Churchill tradition. The crispiness of whole roasted almonds combined with the silkiness of smooth chocolate is the answer to every chocolate lover’s dream. Churchill is delighted to offer holiday poinsettias at reduced rates. Pink, white and the traditional red colors are available. All plants come with a festive holiday cover and are guaranteed fresh. Proceeds from the sale of almonds and poinsettias benefit Churchill’s Scholarship Fund. Target will donate a portion of your purchases to Churchill. Sign up for a Target Visa Card at www.target.com/tcoe or call 1-800-316-6142 to designate Churchill as your school. Churchill receives 10 cents for every box top collected. Look for the Box Tops for Education symbol on General Mills cereals, Betty Crocker, Green Giant and many other products. Simply cut out the symbols and send them in to the school office. It’s as easy as that! Schnucks offers an eScrip card which is an automated way for a percentage of your grocery purchases to go directly to Churchill. At the checkout swipe your eScrip card before the cashier totals your purchase. Pick up an eScrip card at the courtesy Counter of Schnucks the next time you’re there. Then go on line to www.escrip.com and follow the prompts. AmazonSmile is a website operated by Amazon that lets customers enjoy the same wide selection of products, low prices, and convenient shopping features as on Amazon.com. The difference is that when customers shop on AmazonSmile (smile.amazon.com), the AmazonSmile Foundation will donate 0.5% of the price of eligible purchases to Churchill. When first visiting AmazonSmile, please select Churchill Center & School. By giving to Churchill, you are supporting our life-changing educational mission that makes a difference for our students each day. Make your online donation today.